The City of Italy Planning and Zoning Commission will meet on Monday, May 14th at 6:00pm in the Council Chambers of the Italy Municipal Building, 105 West Main Street, Italy, Texas 76651. 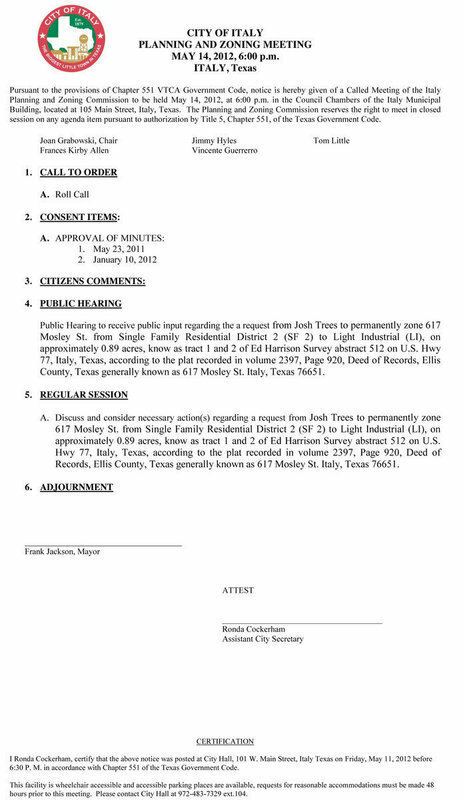 The lone agenda item is a request my Josh Trees to rezone the property at 617 Mosley Street, Italy. There is a public hearing regarding this request during the meeting.